Dress your vehicle up and make it feel special. We carry a full line of Genuine Honda accessories including floor mats, trunk trays, visors, spoilers, remote control starters, Bluetooth connections, iPod adapters, cargo boxes, roof racks and splash guards. We also carry items that make nice gifts for auto enthusiasts, including shirts, hats, watches and travel mugs. Okotoks Honda, the #1 Google Rated and Reviewed Honda dealership in Calgary, Alberta and Canada as well as Honda Canada’s 2018 Honda Driving Excellence Award winner – has the best pricing on all-season and winter tires all year round. We’re your Honda source with the lowest price guarantee. If you find a lower advertised price within 30 days of your tire purchase, we’ll match or reimburse the difference. With a wide-ranging selection of brands, you’re sure to find the right tire for your Honda this winter. Our online form lets you search by vehicle, tire size, or part number, making it simple to find what you need. Of course, our service department will be happy to guide your choice at our service centre. We don’t believe in generic parts. 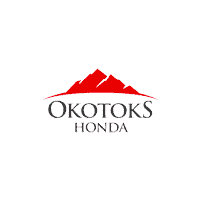 At Okotoks Honda, we use authentic and genuine Honda parts and accessories to uphold the Honda brand, reputation, and longevity. Tires wear out from different types of driving patterns. When it’s time to replace them, don’t shop anywhere other than Okotoks Honda. We have the best pricing on all-season and winter tires year-round. Okotoks Honda is dedicated to keeping your vehicle in as close to new condition as possible. We use only Original Honda Parts to achieve that goal. Our experienced advisors can help you find the right products and components for your car or truck. Your Honda will enjoy increased longevity and more reliable service. Ordering Original Honda Parts and Accessories is simple with our online form. You’ll save time and money by requesting a quote. Our exclusive promotions on selected parts and accessories is a great way to find the best deals at any time. Be sure to check this page often!